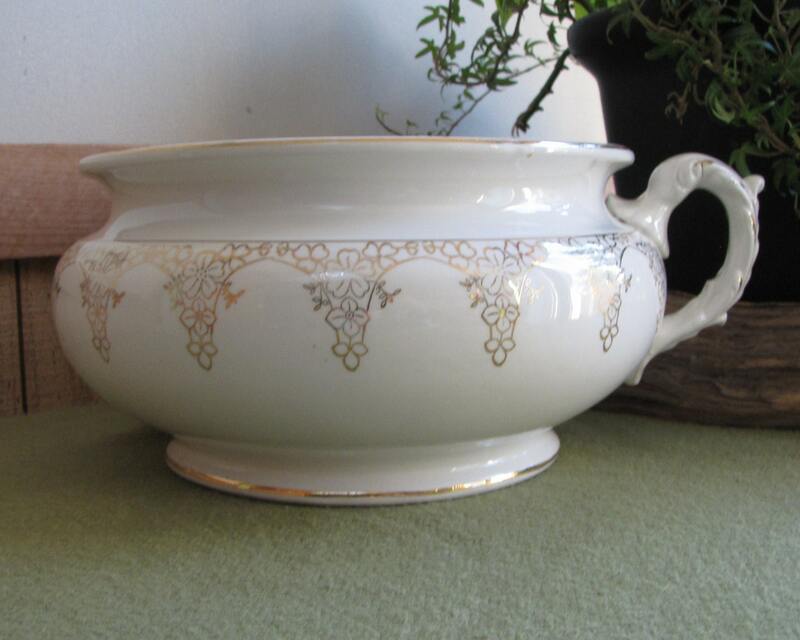 Knowles Taylor & Knowles semi-vitreous porcelain chamber pot in white and gold Lotus design. 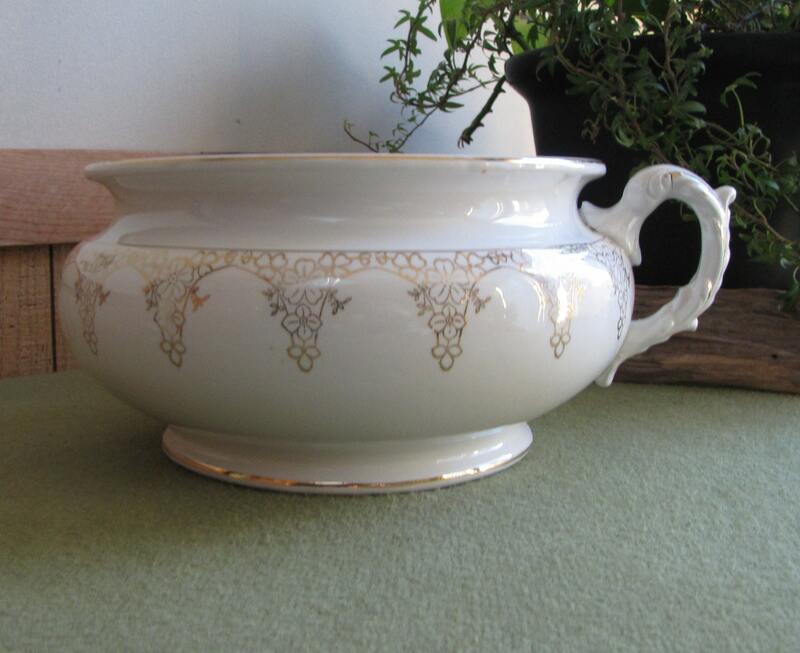 The 1890’s chamber pot is in very good antique condition. It has no chips, cracks, or crazing. The handle has like a slit in it. I wouldn’t call it a crack, but like it was cut. See pictures. There are dark tags and some stains on the inside. 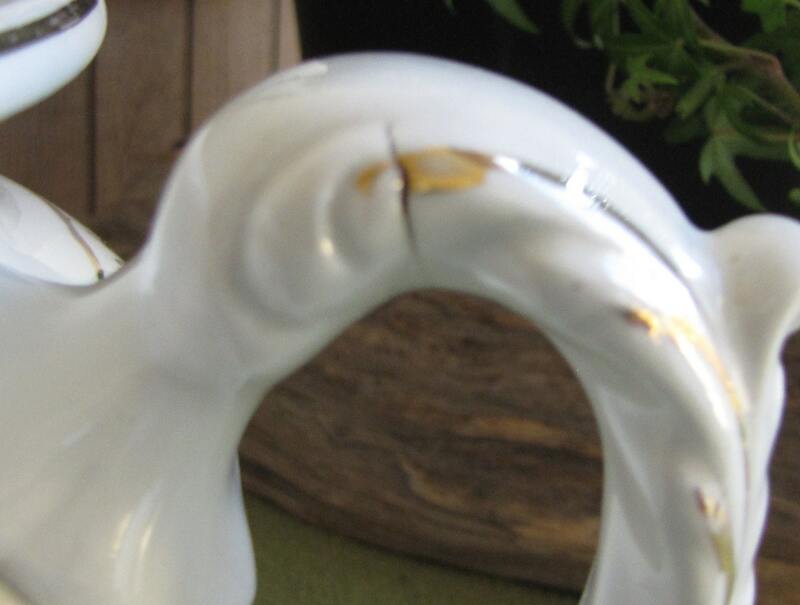 The gold trim is along the top edge has some smudging, but mostly intact. The pattern is called Lotus ware. 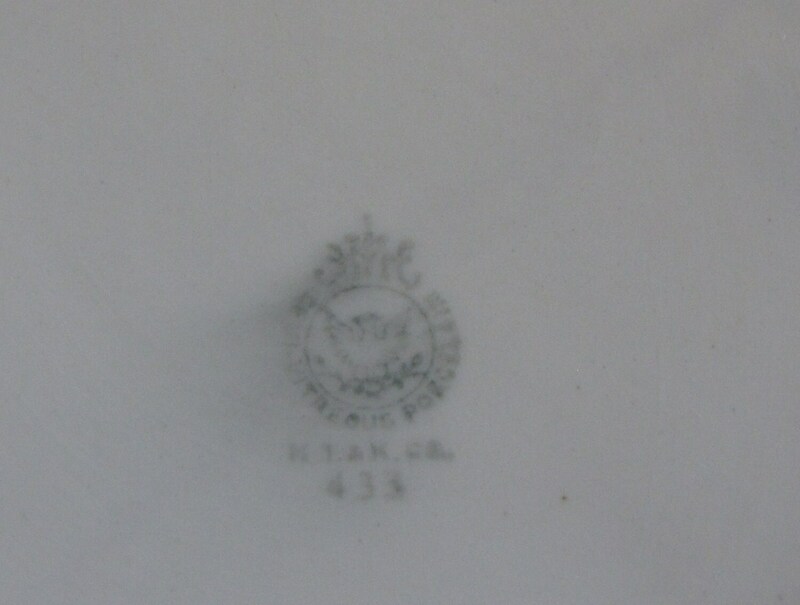 The logo dates this chamber pot to from 1890 to 1910. 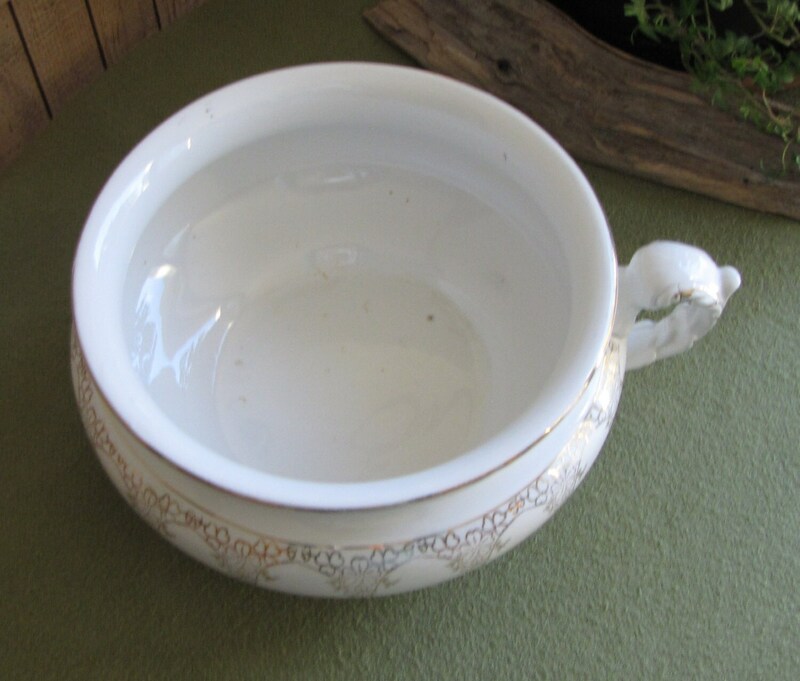 The chamber pot measures 5 inches tall and 8.75 inches in diameter. Knowles Taylor & Knowles operated between 1853 to 1928 in Ohio until they merged with the American Ceramic Corporation. American Ceramic Corporation closed in 1934.